"Pep" Guardiola was one of the best players ever to emerge from the Barça's youth system. He was an exquisitely talented midfielder with excellent vision, and was the central playmaker in the side, always donning the famous number 4 on his back. His brilliant career coincided with one of the most brilliant periods in recent club history, the so-called Dream Team under the great Johan Cruyff, with many describing Guardiola as the Dutchman's natural prolongation onto the field of play. Last edited by Brezza on 2011 Mar 24, 20:14, edited 19 times in total. BB: 84>78 - guardiola was never a player with great physical presence in midfield, he was tall but thin and relatively weak, he was all brain not muscle. I think 78 is already well generous, Xabi Alonso is rated at 80 and he's probably much stronger than Guardiola ever was. D'Agostino is 79 (1,83/81 kg) and fabregas is 78. Response: 91>85 - 3 points behind Makelele? Never imo. Not a defensive master, he was a playmaker and not a Gattusso, a Davids not even a Redondo. To me, at level of Xavi (84) or Xabi Alonso (83) or maybe a bit higher. And he wasn't the "best passer ever" imo, at least through the ground, that title belongs to Rui Costa or Zidane imo. Last edited by p1rha on 2009 Jul 14, 22:37, edited 2 times in total. What I think it's overrated is his defence, I can't imagine him being that defensive secure when it comes to positioning. To be honest, I've never seen him consistently, but its difficult to think he was one of the best DM ever when it comes to positional sense(he would be the best DM nowadays with this value). I'd say reduce it to 77-78 problably, level with Marcos Senna. BTW, agree with BB. Not sure about RESP though(not that I disagree, just that I can't say anything). as_10 wrote: What I think it's overrated is his defence, I can't imagine him being that defensive secure when it comes to positioning. To be honest, I've never seen him consistently, but its difficult to think he was one of the best DM ever when it comes to positional sense(he would be the best DM nowadays with this value). Didn't even noticed that ... Marcos Senna is a better defender for shure, i'd say Pepe was at a Pirlo/Xabi Alonso level, defense should be arround 73, attack should be in the high green level (~78), since it influences his teamates attitude. Imo attack is not well rated for most playmaking DMF, as they excel at atacking moves but they play deep with low agression so they don't go into the box, but their attack value influences teamates moves from what i've seen. And Guardiola was the kind of DMF that is there to suport the wingers and give consistency and possesion to midfield, not really do defend, he was a "constructive" DMF, unlike most traditional DMF (Gattusso, Makelele, Senna, Petit, etc) who's main role is to destroy the oponents play and steal balls. About response, I did Costinha and rated his response at 90, default value for pes6 i think. I did that because Costinha was a real defensive midfielder. His only job was to defend, steal the ball and pass it to his teamates ahead, makelele style. And at that he was great, one of the best ever in terms of antecipation imo, he was responsive, not in a "dog chase" type but more in antecipation, positioning, reading, knowledge or experience, call it what u want to. And i'm shure Guardiola was nowere near Costinha in that department. If Pirlo and Xabi r rated 84/83 for response, i think Pepe should be arround the same value. Folowing the same logic of Guardiola being a "not so defensive" DMF, i see no reason for the *sliding star or the *covering one. Was it really a "specialty" of him? Don´t think so, but i'm no elephant. What i really think he deserves as a star is *1-touch pass. Honestly, i had never realized it, but from that great video u can see he was very confortable playing at the first touch, and he's got loads of sucefull quick passes, long or short, done with no reception. 1-touch pass is not just for volleys, i'm 100% shure of it. And stamina 91? C'mon, he was never a player to run the whole game, he was never a great athlete. Great player but not a great athlete, know what i mean? We've got players running more than 10 km in a game and they don't get 90's for stamina, it's not fair to rate Guardiola this way, i would suggest something bellow 86, and i can ashure, if the other changes are implemented, he will have no trouble lasting the whole game. Fabregas, Pirlo and Xabi are all rated at 84. In conclusion, i want to say that i've always liked defensive pivots with playmaking abilities, and Guardiola is one of the best playmaking DMF's ever. But is he one of the best overall DMF's ever? If we do a list of the top 10 DMF's ever will he be there? I'm not shure about that... but, judging from the stats of course i would say yes. 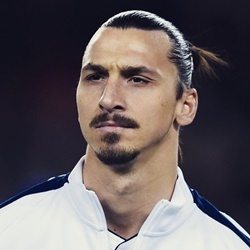 He's so much better than Pirlo, he's probably the most complete DMF ever. There r still other details like SP, SPS, agression, technique and FK's that i would like to discuss, but i'll leave it to another day. really well said by p1rha, couldn't agree more. and following that line of thougth, i can't understand a 90 for mentality, he wasn't a chase down kind of guy and 90 gets him on level with materazzi, cambiasso, zanetti, dani alves... even if you say that it affects how the captain of the team has influence in his team-mates then how do you explain Xavi at 82? Fabregas at 78? Pirlo at 84? U didn't updated BB... did u forgot or are u gonna leave it that way? Because he was really weak. I don't think his technique was as good as Van Persie. Are you joking?! His passing was far superior to Zidane and Rui Costa's, his passing was incredible, even a value of perfection doesn't put me off entirely. Technique probably should be lower though. Don't mean to sound arrogant, by i sugest everyone who saw that amazing video to see a full game of him, the video gives a wrong idea, like if he never missed a pass. Yes for sure I agree with last ideas. Guardiola didn't take risky passes often, the thing he was so smart that he almost all the times did the best pass, which we all probably should know that is not the same thing as the most difficult pass. Rui Costa and even more Zidane or Deco used to try narrow passes (those which if you fail by half meter they are intercepted) while Guardiola (since he plays backwards positions comparing with all these players and, consequently, has a little bit more time and space to decide) used to do the pass that suits better his team needs. Nevertheless he did some great passing, and with his immense teamwork with fantastic short pass accuracy I think this "skill" of his is perfectly emulated. 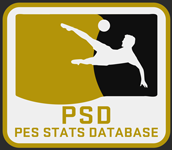 Anyone knows about a software (no fraps, ain't workin' on pes 2009) to make videos from pes plays? So i can do a compilation of passes with him and compare it to the video posted? Completely Disagreed. Trust me almost every pass of his was perfect. Far and away the best passer I've ever seen. I wouldn't say that he didn't play difficult passes either, they were primarily from deeper positions than the likes of Zidane and Rui Costa ( Zidane is still the best short passer on the database btw) with great pace that could split the defence with an eye of the needle. In terms of this 'narrow passing' business also consider the movement, positioning and technique of the attacking playmakers you have mentioned. They have the immense ball control and technique and to trap and control the ball in the tightest spaces allowing for more passing options in the final third. Guardiola didn't have the chance to do that, he was good but not at their level technically and played deeper, it doesn't mean hes worse at passing. Also disagreed with lowering LPS as well. I wouldn't just base it of his corners he could put great pace on his passes over the top of defences and from his his freekicks. He hit them with more pace than Pirlo or Carrick who have been given 87 becuase of the distance of their long passes. Well Guardiola could hit them at similiar distances but even more pace so it makes sense for them to be higher than them. Id like to hear some more opinions/agrees before reducing balance further. I have reduced technique though. p1rha wrote: Anyone knows about a software (no fraps, ain't workin' on pes 2009) to make videos from pes plays? So i can do a compilation of passes with him and compare it to the video posted? have you tried Game Cam ? Shadowx55x wrote: have you tried Game Cam ? Brezza wrote: Completely Disagreed. Trust me almost every pass of his was perfect. Far and away the best passer I've ever seen. I wouldn't say that he didn't play difficult passes either, they were primarily from deeper positions than the likes of Zidane and Rui Costa ( Zidane is still the best short passer on the database btw) with great pace that could split the defence with an eye of the needle. how's that ?! If a player has the ability to dolong range passes he's granted higher LPS? Man, my Paulo sousa has LPA 90 LPS 78 and he does lots of long and precise passes, and he can cover just as much ground as the others... doesn't make sense to me. To me pass speed is the maximum speed the ball can travel when kicked by that player, just like shot power. Well thats just another forum standard that you disagree with along with response values and *positioning for defenders im afraid. GoonerLover66 wrote: I'm just wondering; should there be such a vast gap between Pirlo and Beckham in terms of Long Pass Speed? Yes, Pirlo can make the ball look like it's floating, but he can still get this effect with a higher value. Also, a higher LPS should be able to get him to reach further distances with his passes. Wouldn't an increase be in order? S-J23 wrote: Well.. perhaps so.. the reason why I am happy with current value is exactly that high trajectory floating style of his long passes.. I always get the impression that the higher the LPS the more direct the pass is (lower trajectory, pretty straight-forward speed) so I am not sure but if you did try this, Tom.. then I guess it is alright.. what value would you suggest? GoonerLover66 wrote: I knew you were going to say something like that. Yes, I have tested out a higher value for LPS (90 to be precise) and I found that they still got that high, floating style but it went further distances than the 87 he had beforehand. I'm going to test out an even higher value so be wary, I haven't truly got a figure yet. Brezza wrote: Well thats just another forum standard that you disagree with along with response values and *positioning for defenders im afraid. 1 - U may have a point about response, yes i disagree yet i have made changes in all players responses after ur sugestions, in order to respect those standarts. 2 - Were is it written in the forum that defenders shoudn't have positioning? Know nothing about that, all i know is that i have discussed it in Terry's thread and opinions were divided, some arguing it made no real diference others (like me) saying that they felt the diference. 3 - About pass speed that is my interpretation of the stat after a few years of playing, but i'm always willing to be convinced i´m wrong. Higher speeds are usefull for longer passes, but they r not essential. If a pass is longer the ball will spend more time traveling, thus there's an increased time span were the ball can be intercepted, and it's easier to guess were it will land. Pass speed is extremely usefull for crosses, but not so much for deep passes. And folowind that logic of the pass speed being related with the distance traveled by the ball, shouldn't CBs have a lot higher LPS? Many CB can do long passes that, despite not being accurate at all most times, have to travel huge distances.